Is it just us, or does it feel like a lot of celebs are running afoul of the authorities this summer? Singer George Michael is the latest star to have troubled with the law, according to London's Metropolitan Police. He's been charged with possession of cannabis and driving while unfit through drink or drugs. It's not the singer's first brush with authorities . In 1998 he was arrested for allegedly engaging in a lewd act in a public restroom in a Beverly Hills park and in 2007 he was banned from driving for two years after driving while under the influence of drugs. Michael was arrested earlier this year in July after police received reports of a car crashing into a building in London, according to the BBC. I do accept as true with all the ideas you've introduced for your post. They are really convincing and can definitely work. Nonetheless, the posts are too brief for starters. May just you please lengthen them a little from next time? Thank you for the post. Say, Eddie King likes "George Michale charged with alleged drug possesion"
Does everybody agree that if you keep your comments on "RICKS LIST" to you are handsom!, Why is Andy griffith still showing but no more bugs bunny or road runner or " I DIDN'T KNOW BROOK BALDWIN WAS ON BLUE LAGOON, you will get a sign copy of his book? Well Rick if you send me a signed book WITH the book marker,my hot wife will KISS the book marker every night before we go to sleep.That ought to get me a book. And to be on topic,Never mind the brain,WEED KILLS THE LUNGS!!! Wake up America! I have had 3 MAJOR back sugeries starting in 1992. There is NOTHING I haven't USED over ALL of these years to KILL THE PAIN and it is CRONIC. ONLY NOW that I take NOTHING to kill the pain am I able to live with it!!! EVERYTHING!! LEGAL or not decreases your ability to deal with ANYTHING!!!! Get high on life,your WIFE FAITHFULLY and healthy diet will bring you comfort and joy. EVERYTHING else just screws everything up. Maijuana kills brain cells. I have a 30 year old nephew who is living proof of it. He went no where in life because he was to high to care about it. Any drug of any kind will have adverse affects on the body. Some show up a lot earlier and are easy to see. Others are slow killers of brain cells, body organs, etc. You dope heads out there, keep defending the death of your brain cells, morons. George got in less trouble when he smoked the pole than when he smokes the herb. I guess the guy who stabbed the NYC Muslim cabbie must have been on Dope too... ya, that explains it! THE AUTHOR AND THE EDITOR MIGHT LEARN TO SPELL..... JUST SAYIN'!! i seriously thought dude was dead ,i guess that was just his carrer ,as far as the pot thing who cares we have 1000 things goin on around ,at what point and time should this even be in the news .another wash up begging for att . God loves the chearful giver.And givers never lack.After all there is more blessing in giving than recieving.Let us cultivate the habit of giving. Curtis, you are so right, but the dopers and idiots are not listening. They will be left in the dust when it all comes to light. He needs a shave as well! Funny how we love to build them up and then love to tear them down. Busted with weed. In 10 years it's going to be like getting busted for a beer. Getting busted today driving with a beer will make it impossible for you to visit Canada ever again, same with weed. Leaving the US for any international destination is next, so welcome to the information age, stoney! Smoke it at home and stay off the roads!! He is going through an extemely difficult time. About a week ago he sprained his right wrist and can't use it. Only drugs can fill the pain. Or weed. Marajuana is such a bad drug, so many people are killed from this mind altering drug that causes people to go into raging fits. If they dont get it they go out and rob people and even kill just for one joint. Its bringing down our society, people should be locked up for life for having any of this terrible drug in their possesion. You're insane! Pot helped me juggle a full-time and two part-time jobs, and, carry a full class load in college. Also, you can't OD on pot, unless you get the munchies so bad you eat a ton of Twinkies and Pop-Tarts in one sitting. Don't cops have better things to do than arrest a pot smoker, maybe cops need to start protecting us from danger instead of acting as over paid hall monitors. I have driven on pot it dose affect your driving for anyone to say it dosn't is so desperate to smoke it they well say anything even something really dum. Also everybody i hung around with were also terrible drivers on pot . Whats the point in smoking it if it dosen't . We don't need anything else in our life to cause us to do dangerous stuff ,it should stay illegal . this is not a news story. Cannabis? Why is it that so many of these comments seem to be arguements for/against the usage of pot while driving? The story is that George was arrested for driving while intoxicated. He just happened to also be in possession of and under the influence of pot. That may or may not have been the reason he got pulled over. Don't get me wrong I am for the the legalization of marijuana, but people need to understand that just because something is legal doesn't mean it can't cause problems that you will have to be responsible for. i bet gay george knows how to smoke crack more ways than 1. Oh Georgie...can't you stay out of trouble? OMG! There are studies reagrding marijuana and driving. Those studies have found it does not negaively effect your driving! Imagine that! Driving aside – what government in the world (besides Iran) has the right to tell ANYONE what they can and cannot put into their bodes. What government has the right to allow alchohol but ban marijuana based on some paranoid notion from 100 years ago. Time for this country to GROW UP AND SMELL THE WEED! Yes, and they need to make alcohol illegal also. I want to tell you drunks to stop drinking because when I'm out on the road sober I don't want you to kill me. I want to tell you smokers (and I use to be one), to stop smoking because your end of life medical treatment is the reason I pay so much for mine. People who abuse their bodies with food, drugs, etc. are not just harming themselves, they are harming everyone. So you selfish idiots out there need to shut up your ignorant talk and speak like you have a freaking brain in your head. I work with a guy who smokes. He is up and down ladders all day. Drives company vehicles etc. He does a great job, and is efficient, friendly, and likeable. The boss talks about this issue with everyone. Broadcasts the issue, sharing his employee's personal business. Besides the defaming statements, the boss is a major procrastinator, cheap, disrespectful, and a daily beer drinker. He drives under the influence, spends next to no time with his wife, and generally only treats paying customers nicely. Well that is until he has the cash in hand, then its all the above. Marijuana is not the issue many think it is. Come on George, wake up already, you're not a circuit party boy anymore. If you want out, don't take anyone with you! I hope he don't mention me. Most celebrities should be appreciative in their blessings and learn to stay out of trouble, but they are human just like everyone else on this earth. Who really cares, most of them have enough money to get counseling and rehabilitation. They also should not be given favoritism when they commit crimes. "George Michael charged with alleged drug posession"
Still love his music though. It's retarded that you can't spell retarded. Lol!!! Maybe you should stop smoking that stuff too. It's not surprisingly that popular singers are usually crazy about feelings. Some of them are prone to get into trouble. He has had real men. MANY real men. He has so much talent, too bad he can't JUST SAY NO! to drugs. Regardless of what you might think, or want, pot is still illegal in most places. Driving while smoking pot is illegal pretty much everywhere. Driving while smoking pot is going to STAY illegal – that is NOT going to change. Don't be a DOPE and drive while you are high. Finally, if you hit me while you are toking and driving, I'm going to OWN your stoney a$$. Say bye-bye to your car, your paycheck, AND your pot. To play devil's advocate – there have been studies done in the UK that show that cannabis users actually drive MORE CAREFULLY than other drivers. But let's everyone yap and text on their cell phone while stone cold sober...that's MUCH better, right? Thats the dumest study Ihave ever heard of and Im not stoned. What year is it George Michael? Well, it wasn't the year of the rooster... to my surprise. There are millions of people driving like idiots, who aren't under the influence of anything besides their own distractions, stupidity, and inherent inability to drive. The person who stops at the end of the freeway access ramp, or cuts across three lanes of traffic suddenly so they can make a right turn 18 stoplights from now. The person who stomps the brake EVERY time they see brakelights anywhere in their field of vision on the highway. The people with a cigarette, cell phone, and a biscuit in their hands while their three untethered kids and two dogs romp all over the car. All of these people cause accidents as well. What can they be cited for? With all your Careless Whispers on the net, I am going to Wake You Up Before I Go(-Go) since Everything S(he) Wants "isn't good enough, hell it will be good enough for" all because "you've got to have Faith" that Sir lord George MIchael will turn A Different Corner and will remain your Father Figure as He gives it One More Try as He gets this Monkey off his back as many of us have been Kissing a Fool, and hopefully he'll get his Freedom again. In the meantime, "maybe we should all be Praying for Time!" With that said, Don't Let the Sun Go Down on Sir Lord George Michael since He has brought so much pleasure and entertainment to millions of people all over the world over the years because we all know that You Have Been Waiting for Sir Lord George Michael! My brain just popped. I think you're amazing. He seems to really enjoy his cannibis...to each his own. But, he's George Michael–you would think he could just get a driver to drive him around drunk and high? Stupid problem solved...think man! With all your Careless Whispers on the net, I am going to Wake You Up Before I Go(-Go) since Everything S(he) Wants "isn't good enough, hell it will be good enough for" all because "you've got to have Faith" that Sir lord George MIchael will turn A Different Corner and will remain your Father Figure as He give it One More Try as He get this Monkey off his back as many of us have been Kissing a Fool, and hopefully he'll get his Freedom again. In the meantime, "maybe we should all be Praying for Time!" With that said, Don't Let the Sun Go Down on Sir Lord George Michael since He has brought so much pleasure and entertainment to millions of people all over the world over the years because we all know that You Have Been Waiting for Sir Lord George Michael! Was he smokin a fatty or smokin balogna? I think I will quit my Job and Open a "Celebrity Rehab" Company !! I think the profits will go through the Roof !! And I am sure some of the usual suspects will always be there => Paris Hilton, Lindsey Lohan, George Michael, Mel Gibson... It is good Business man !! Guys it's ok, he has the family attorney, Bob Loblaw, on the case. You can read about it on Bob Loblaw's Law Blog. Okay.....So what he do again?? PLEASE! CNN: Check your headline please. You cannot be charged with "alleged," anything. You are charged or you are not. Michael may say that he is being falsly charged, but he is not being charged with "alleged posession." The police allege that he had posession of drugs, and now they feel they have the evidence to "charge," him with said posession. It's not our governments right to tell us what we can or can't put inside our bodies. End of story. Again? At least it's just weed. I think it was cocaine last time. He just couldn't stand the thought of Boy George being in the news with his Lady Gaga comment, and he decided to go one better. i'm sure he'll make it through this as long as he has a faith a faith a faith, he's just gotta have faith a faith a faith. BAAYBEH! This gay boy needs to get his act together. Why he hasn't learned yet, is beyond me. He is plenty old enough to know what works and what doesn't, in his case. Obviously, he is on a mission of self-destruction. They need to lock him up for quite a while to let him ponder his wrong-doings and then throw him into rehab for at least 6 months to 1 year. Shame on you, Georgie boy. Grow up! it's in the banana stand! I don;t care if he was smoking pot, I don;t even think it should be illegal. However, the fact that he is driving while impaired (and anyone who thinks that smoking pot and driving is safe is a moron) angers me. He may live a selfish life of All About George but his history of DUIs is long and he needs to show some damn responsibility for his fellow human beings instead of doing whatever he wants, just because he wants it. How many "accidents" does this guy need to have in his car before he gets it? He's the male Linsey Lohan! sober him up, take away his keys and put him back 0on the streets! Did anyone else surmise that George is just a horrible driver, weed or not? My son in law is stone cold sober and drives like he's just drank a fifth of Jack. Some people just need to leave the driving to someone else. Stop making pee-poor excuses for a drug addict and alcoholic. He falls asleep in his car while high! Doesn't that give you a clue that it isn't poor driving??? Oh no, not cannabis!! What's the world coming to?!? R U kidding? Give me a freakin break. Maybe I'd give a crap if he started smoking crack or shooting heroin. Most likely it wasn't just cannabis in his system. He is a known drug addict on pills. I'm sure he had more in his system than just pot. If you are a celebrity, and you are going out to drink or party, GET A DRIVER! If you don't then you are an idiot, and deserve to spend a lot of time in jail. This happened way back on July 4th 2010. So he had some herb. Snoop Dogg & other rap stars have weed everyday.. He wasn't hurting anybody. You Brits need to MYOB & do more worrying about the Royals then worry about this. THe Royals are spending your Taxdollars.. puhleeze.. These Brits need to get a life.. worrying about this..
Would someone wake me up when he go goes. Wow, rock singer in possesion of drugs. Who would have thunk such a thing was possible? Western society is surely in decline, and the world will end any day. And for those of you who don't get sarcasm... WHO CARES! Why is this surprising? He has already admitted to smoking weed. Anyways, Michael is a great talent, even though he is wrong for what he did. OMG! I SO want to be concerned, but I have to clean the toilet. Hey George...it's Andy. Look, give me a call and we'll talk while we drive around and smoke some doobie. Oh wait, you already did that. Nevermind. Marijuana is illegal for a reason. It causes people to commit other crimes like stealing to support their habit. I don't trust pot heads. It also causes drivers to have accidents. Buying it also supports the drug cartels and we have all seen the havoc they are wreaking on society. Drugs are junk! they should not be legalized. @davidcrandall, your argument could be the same for booze, we dont live in a perfect society where your singular beiefs can be made into laws governing all. Quit throwing your pitty party. Oh man, david, you're rather ignorant of the subject, aren't you? Marijuana is illegal because of a hyperbolic, racist pig named Harry J. Anslinger who hated Mexicans and blacks, and because DuPont and William Randolph Hearst were worried about their business empires (specifically the threat hemp posed to nylon and timber holdings, respectfully). This is very common knowledge. And stealing for a marijuana habit? Come on, give me a break. It costs so little so smoke marijuana and it's less addictive than coffee is. It might help to lower the price of drugs so people wouldn't steal via legalization, regulation and education, but alas, they're "junk," so we should make them all illegal, starting with alcohol, tobacco, caffeine and pharmaceuticals. The cartels would also take a significant blow with the legalization of drugs, but we're too busy saying drugs are bad to see that prohibition is far worse and is compounding the problem. Whew! For a minute I thought he got caught in the parkside mens restroom again. He probably smoked it to get the taste of Elton John out of his mouth. THEY CAUGHT HIM PUTTING SOMETHING IN HIS MOUTH....... THE COPS HAD TO LOOK TWICE TO MAKE SURE IT WAS DRUGS BEFORE HE WAS CHARGED. I'm stunned. Next you'll tell me Boy George has a drug problem! You can just about set your clock by when George Michael gets high and crashes his car. He should be arrested for all the polesmoking he's done over the years. You are a special brand of bigot. Yes I am. At least I don't have stretch marks around my mouth like you probably do! Love George Michael music – can sing a ballad like no one else. Saw him in concert a few years ago and was very, very impressed and surprised that his voice is still great and as an entertainer he was riveting. Come on George – think a bit better of yourself. Smoking pot is not a big deal but whatever demons you have that causes you to make poor, poor decisions figure them out!!!!! Wow, with those credentials George Michael can be elected President of the United States! Why can't he celebrate his gayness instead of being a drug addict car-crasher? I mean lady gaga seems to celebrate the fact she is a man dressed like a woman with her adams apple bobbing up and down when she talks or chews. She/he seems to enjoy it and be proud of the freakishness. I've seen this episode of Arrested Development. George Michael was just busted by the Hot Cops for getting weed for Buster. His dad was then busted by the guy missing an arm. Smoke some pot..be happy...but don't drink and drive..besides who smokes pot alone how boring. Wake me up before you blow-blow! Can't people just stop reporting on him? He hasn't mattered to anyone in about 20 years and everyone knows he has problems. I think I'd rather see some BS about Jersey Shore or Justeen Beiber reported on instead of this crap and I would love to see them on the same flaming bus heading over the side of a 500ft cliff. "He's been charged with possession of cannabis and driving while unfit through drink or drugs." o.m.g. he had pot on him! Quick, lock him up, get him help, and for god's sake, get the man on prozac, we need him on safe drugs..
slow news day....wow, someone had pot!!!!!!!!! Wham! He hit a building in London. The part I can't figure is why doesn'tt this guy just get someone to drive him around? I guess money is the root of all evil. These celebs have so much, they want it all. LOVE of money is the root of all evil. Having money is a gas! WAKE ME UP BEFORE YOU GO GO!! BAHAHAHA! I remember that song came up in Zoolander, lmao. He needs the drugs for the stretching pains. Wake me up before you get high. You gotta have faith, he'll wake you up before he go-go's. well, he and Andrew told us that they were Bad Boys, never sad boys (whoo whoo). When ISN'T this guy in trouble?? PS. Insert has-been celebrity name looking for press here. This guy is an outstanding singer. He's always been a habitual drug user though. It's amazing people out there are live like this for decades.. and other people who live and eat "right" die of something that like cancer..
That's why you should enjoy the time you've got. If smoking pot makes you happy, go for it. Haven't heard of many people, make that any people dying from pot! Smoke if ya got em. From now on George, take a cab. And on a side note, is the word posession supposed to be spelled possession? It just doesn't look right. Or maybe it's the British (English ? )way of spelling it. Just curious. It's like possession but with less s.
The End of Days for the English language. from an overdose or crash while under the infulence. Used to be a fan but now he is such a loser. I doubt you'll ever see an obit saying anyone overdosed from pot you dimwit. I just lovce all the anti-pot comments on here from people without a frigg'n clue. This is why it's still illegal. That and because the government can't control it enough to tax it. Go try it. I'm betting you'll really like it. Make sure you do it before you get wasted on your alcohol because you won't even feel it after that mind numbing garbage. An overdose from pot? Sounds like a pretty good way to go – IF it were possible, nimrod, which it isn't! What a dope! (that's a pun there get it, dope?) Probably not, because you're obviously a complete idiot if you think someone can overdose on pot. How do you overdose on pot by over eating or laughing to death. You'd think that with all that's always going on, they would be smarter. And for everyone, smoking pot is nothing. Driving under the influence is illegal and dangerous but I would drive down a highway, (get it? HIGHway) with every pothead over one drunk. Thank you! I agree – smoking pot is so much better than drinking. I don't do either, but I do know that your reactions under the influence of alcohol is much worse than pot. But if your caught with an open container of alcohol while driving, your get much less time in jail than for pot. Cigarettes (spelling?) also don't kill as many as alcohol but they tax the ciggs more than the booze. No common sense in the government! If he was smoking a joint while driving – what was the guy's name and was he his boyfriend? George, go to rehab. CNN journalist who wrote this article, go to school and learn how to spell "possession". Good lord, how many aging rockers and pop stars do drugs... ?? um....the majority of them methinks. Leave the guy alone, it's weed for godsakes, not meth or something. Yeah, he probs should get high at home but I agree with Popeye, he was the happiest guy on the road at that time. Even though it most likly was (at the least) slowing down his reaction time, which very well could have caused a wreck that could have ended in deaths? I am so sick of the "weed is harmless" camp. It isn't, it is just harmful in different ways. Nice one popeye! So friggin' true. The Bluthe family just can't catch a break can they? When isn't George Michael in trouble? How pathetic that at his age he continues to be arrested for drug possession, what a stupid legacy he's creating for himself. I don't even think of him as a musician any more, just as a guy who is arrested annually. I'm sure Mr. Michael is absolutely heartbroken that you no longer approve of him. Hell, I'm even crying as I type this. Sorry he offended your delicate sensibilities by living his life without seeking your approval. You must admit that Sir Lord George Michael continues to push the envelop and the public's buttons to witness your reactions. Do you honesty believe that he approves of what the likes of you think of him? I thought cannabis was a plant? Weird they call it a drug. Hope I don't get in trouble for delivering my basil plants to the local farmers market. Definition of drug: "a chemical substance that affects the processes of the mind or body." Drugs can be derived from plants, and many of them are or were (asprin for example). Definition of Drug: Any substance the local government can't control adequately enough to generate tax revenue, therefore deemed "illegal". I don't know that anyone really cares about the cannabis part. The driving under the influence part bothers me tremendously. Journal of the American Medical Association, March 10, 2004, Vol. 291, No. 10, pp. 1238, 1241. The problem with marijuana isn't that it will kill you, it's that for some people it's highly addictive and often leads to long-term amotivational behavior. I work in the medical field and I've seen countless examples of individuals who just haven't progressed in life because of frequent marijuana usage. To try to say this is a harmless drug is just ignorant. Haven't touched the stuff since the '70s ... okay, the Reagan '80s. But, I was hardworking (2 jobs), was finishing paying off student loans from college – where I also worked 2 jobs, and was hardly lacking in maturity. Oh, did I mention I was saving for a home that I bought during that time? Fast forward to 2010, after 25 years of complete stand-up law abiding tax paying adulthood that has been rendered a joke by greedy banks and Wall St, along with profligate, bloated and tone deaf state-federal government. Hey, light one up for me, George. Amotivational? It's a real pity that when one uses cannabis, one becomes aware of just what a farce civilization is. Those of us who have any ambitions or dreams whatsoever do not become unmotivated about them. We simply become unmotivated with respect to mundane nonsense - like serving our employee masters, participating in the hate-fest that is modern politics, praying to the invisible man, listening to our shrew wives and jacka** husbands, etc., etc., etc. "I work in the medical field and I've seen countless examples of individuals who just haven't progressed in life because of frequent marijuana usage." -you mean they havn't progressed like you have therefore they must be not progressing. I don't smoke dope and I'm an Engineer and frankly their are some days when I wished I was a Cannabis user and hadn't progressed. Each to his own. Legalize it. Any pot user I've ever met seemed to be pretty layed back and good natured, generous and out going. It's when they graduate to crack, but honestly,...no pot smoker I ever knew graduated . The Canadian snowboarder at the winter olympics a few years back had controversy because he had marijuana in his system. God can you imagine how his performance would of been if his blood had been clean. He won a Gold medal allegedly with pot in his system. He should of been layed back and relaxing instead of winning. It's hard on your lungs yes. It kills off the brain cells yes. But booze is hard on your liver and your brain, and it's not illegal. LOL.. The facts don't lie. good one Glenn. Just because people haven't died, doesn't mean excess of anything won't lead to destruction of someone's life. Wow.. spoken like a truly depressed person, who is self medicating. Everything is pointless huh?!! Legalization of marijuana would help with many problems, but it's not a miracle cure for life. JPX, I appreciate what you're saying but it can be harmless for some people. I smoked weed all through law school and graduated on time, with honors, and as the editor of Law Review. I have 2 jobs, I work hard, I maintain a household, I sew, I cook, I read, I exercise, I vote, I spend time with friends, and I get s**t done. The problem with marijuana isn't that it will kill you, it's that for some people it's highly addictive and often leads to long-term amotivational behavior. I work in the medical field and I've seen countless examples of individuals who just haven't progressed in life because of frequent marijuana usage. To try to say this is a harmless drug is just ignorant." JPX....You're an Idiot. First off Cannabis is not addictive however it is habit forming just like anything else is. Marijuana is less addictive than Caffene or Hamburgers for that matter. For being in the Medical Field you obviously don't know much about Marijuana or its effects. It's hard on your lungs yes. It kills off the brain cells yes. But booze is hard on your liver and your brain, and it's not illegal." TC.....The only thing that is hard on your lungs is the smoke which can be avoided using a vaporizor or eating it. Even if the smoke is irritating to your lungs it is non cancer causing. In fact it actually helps prevent many forms of lung, throat and mouth cancers. As for killing brain cells....that is a completely false statement. You probably learned that from a gov Propaganda campaign which they based off of a studdy where they gave monkeys over 80 Columbia strength joints in under 10 minutes. So as you can see it wasn't the marijuana that caused the brain damage.....it was the lack of oxygen to the brain that caused the brain damage. I really wish people would learn to read a little before they open their mouths on subjects that they have no intelligence in. Don't believe me. Do your own research.....LEAP, MPP, NORML, SAFERCHOICE, JUST SAY NOW....the list goes on and on. Maybe even read a few books..."THE EMPEROR WEARS NO CLOTHS" or "MARIJUANA IS SAFER: SO WHY ARE WE DRIVING PEOPLE TO DRINK"
Or perhaps if you're not a big reader....watch a few movies "THE UNION: THE BUSINESS BEHIND GETTING HIGH" or "GRASS" or "THE EMPEROR OF HEMP"
Hey I stand corrected dude thanks. Theres no way of telling if a accident where somebody was killed or badly injured was caused by somking pot. No harm, no foul... let us be done with this tripe. I hope your disappointment is with your parents for naming you after George Michael and not disappointment in George Michael for smoking a spliff. Dang....come on George! Do your blow at home bro. I wish I had one of his Rockers Revenge jackets and original Aviators from teh 80's. Its sad he's like one of the wealthiest dudes in London and he's too dumb to get a driver. "Blow"??! He was caught with cannabis... marijuana... pot - not cocaine. Yeah, um, blow is cocaine, not cannabis. Cannabis is marijuana. See, Sencho knows what's up. Correction: He's not really a star anymore. 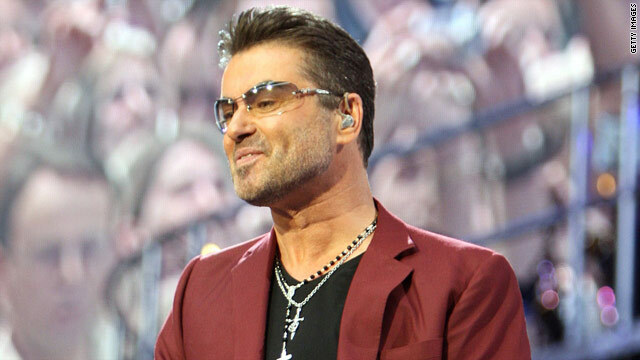 Love his music – George Michael is just a bad boy, too bad he's gay he is a good looking guy. If he is no longer a MEGASUPERSTAR, neither IS anybody else, you big dummy! Girl, get it together. You actin' crazy. You need to work. that. out. driving w/ cannabis? Apparently he was going under the speed limit while smiling which made him stand out on the road full of mad drunks going home after their weekly pub brawl.. Funny and probably true. The guy was smoking a joint. OMG. However, it seems more a grab for attention than anything. No reason to engage in dangerous behavior just because others are doing so. This guy has been arrested so many times, you can't count them all. This is what is known as "crash and burn" in the world of entertainment. Goodbye George! Did anybody catch the part about "a car crashing into a building" ? You go ahead and crash and burn; you're so ignorant. Have you thought about the fact that he may be going through a personal issue even though I am not condoning such a behavior on his part? This dude is soooooo far gone....he needs rehab and therapy. Just stop being a loser!! nceeodomtstioatsd August 24, 2011 If you can find whole wheat flatbread, it's really good for the pizza, too!! He'd better get some help before he kills somebody, or himself. Where's Andrew Ridgeley when you need him? do you think if he would have hit something, it would have went "Wham!"? lmfao at boosh.. lol "wham" love it. Celebrities can't stay in trouble can't stay out of it! Go ahead and make lite of it, but who cares what substance it was, he was F'ed up behind the wheel of a car. If he had killed one of your children or family members you might not be so sarcastic. Well it was either this story or: a. Lindsy Lohan 'comes out', b. new Mel Gibson rant, or c. Kardashian flashes Sarah Palin. C'mon.....kill your's or someone's kid!? Smoking dope makes you drive slower you dumba**. dude, hire a driver! problem solved! So, tell me, Todd A, what happens when he runs over someone at 20 mph rather than 80 mph? Do they just die "slower?" Impaired driving means just that. The driver's judgement, reflexes and ability to control the vehicle are such that he is a danger to himself and those around him. In America on average, nearly 12,000 people die every year in DUI-related accidents. 900,000 are arrested each year for DUI/DWI and a full 33% of those are repeat offenders. People who make light of DWI are a big part of the problem. If you don't take it seriously, why should the offendors? umm all u are retarted weed is not the same as being drunk so go ahead pull out all the dui stats cuse none of those are related to weed so learn your facts before u try and spit logic at me? Sad thing is if you don't have the herb in the car then you can't get charged with a drug driving offense (at least not for weed). For those who bash the smokers I say try it everyday for a month – then you can post on how it alters your reflexes. Thats like someone who never drove a car saying that's why you ride a bike – its to dangerous. smoking weed and driving is as harmless as, peanut butter and jelly. Cause I gotta have faith, faith, faith....I gotta have faith! I blame the courts. They need to throw these bums in JAIL, like everyone else. I have to chime in here. It is rather obvious that the commercials where someone is smoking weed, wrecks, and kills some one as well as comments left here about people being under the weed influence while driving HAVE NEVER SMOKED WEED!!!!! Weed does not impair you! You dont drive like your drunk, you dont have any more accidents because your high. REEFER MADNESS! Oh my!!! Smoke a joint and chill out. No one ever hurt ANYONE over WEED!!! Ate the last cupcake, maybe. But thats about as harsh as it gets. LEGALIZE IT! Dude is cool he totally admits to his follies.